Find your next best fast friend here. It’s no secret that we are partial to Greyhounds. They are are easygoing, sweet, and relatively easy to live with as far as large dogs go. This is not to say that we do not appreciate all breeds – it’s just not possible to have one of each. That said, there is something about Greyhounds that is different. Many Greyhound owners will tell you the same, and struggle for the words to define that difference when asked to do so. Words like sweet, kind, and gentle are often used in conversations about them. All are accurate. What really sticks with one, though, is a very real sense of innocence in the majority of these dogs. This innocence is not something you glean from pictures or the written word. It is necessary to spend time in the presence of these noble, loving, and incredibly grateful animals in order to understand. That said, the objective of this undertaking is rather simple: to facilitate more meetings between Greyhounds and potential adopters. The best method we know is the sharing of information, and our first task starts with this thread. Below you will find a list of links to Greyhound adoption organizations. There are many sources of such links available online. Often, because of political or philosophical differences, these lists exclude certain organizations in favor of others. While it is understandable that some in the animal adoption community do not see eye to eye, it is not our desire to judge individual organizations. 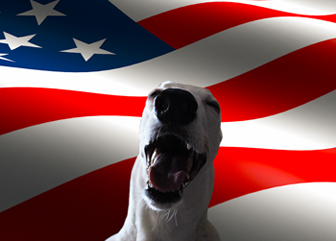 We simply hope to build the most comprehensive and up to date list of Greyhound adoption links available, politics aside. A big picture approach to an issue worthy of it. It’s a Grey Area Greyhound Adoption, Inc.
Greyhound Placement Service of NH *We can offer a strong personal recommendation for this one. Our first hounds were introduced to us by Michele. Tell her we sent you! Northern Greyhound Adoptions *The source of a hound named Nigel.